How important is the essay topic in college admissions? Your GPA, standardized test scores and coursework are considered the most important factors in admissions decisions. But an engaging, smartly written personal statement can set you apart in a competitive environment. The essay gives you a chance to market your talents and communicate to the decision-makers in your own voice. A great essay topic may give you the winning edge. The same can be said for scholarships and internships. I'm a good writer. Why do I need a writing coach? All writers benefit from having their work evaluated by someone else. Parents, teachers or guidance counselors do not always make the best editors. They may be too familiar with your writing style to see flaws in your essay. As a parent, I can tell you that sometimes we clash with our children or want to micromanage their work, so we don’t make the best reviewers. As an unbiased, outside expert, I will help you showcase your best work, without the battles. Will you write the essay for me? Nope. I could never tell your story better than you can. And it’s dishonest. 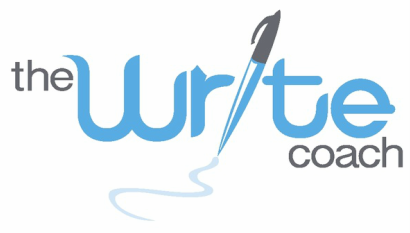 So what does a writing coach do? Some students may start with a writing prompt asking them to answer a specific question as their essay topic. In that case, I will help generate and discard ideas until we find the right story to tell. Then, we will work together to expand that idea into a full-fledged, personal essay that reflects your voice. Finally, I’ll help eliminate nitpicky errors in grammar, spelling and punctuation and ensure that you stay within the essay guidelines. Other students may have written an essay that perfectly conveys their story to the admissions, scholarship or internship committee. In that case, we’ll just skip to the editing. I am an editor who worked for more than 20 years at newspapers, including The Dallas Morning News, and the Associated Press wire service. My students have been accepted to undergraduate schools across the country, as well as law school and medical school. Here are some testimonials to back up my work. If you live in the Dallas area, we may want to work together in person. You may prefer to connect by phone, FaceTime or email. In general, I charge hourly, but I do prorate, meaning I will not charge for time I do not work. Can you coach my high school journalism students or newspaper staff? I teach a variety of skills to build on your high school journalism program, including story selection, reporting, interviewing, AP style, improving your newspaper website and breaking news coverage. I also can work alongside your high school newspaper editors to review stories before publication to ensure they meet your school’s standards.